The devastating flood in the Northeast has claimed six more lives during the past 24 hours, taking the death toll to 23. Although the situation in the region showed a marked improvement on Sunday, the situation in Assam has not improved according to the Assam State Disaster Management Authority (ASDMA). While five more people died in Assam since Saturday, one person lost his life in Manipur. 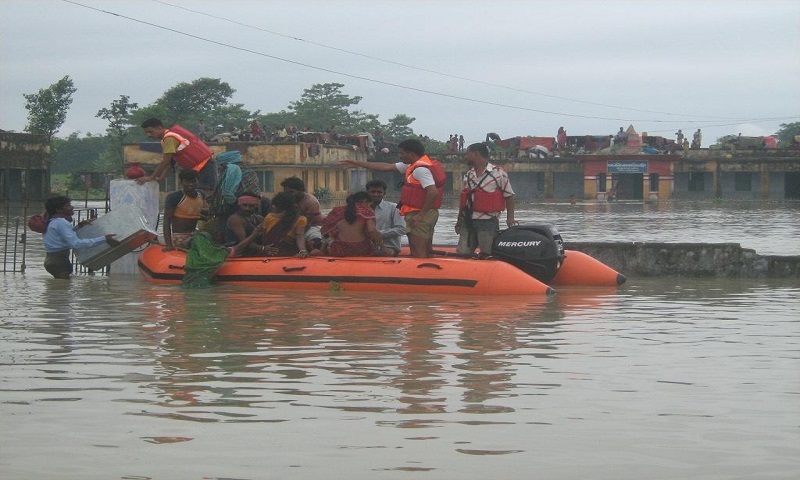 In Assam, 4.5 lakh people have been affected in the deluge across six districts. All the five persons lost their lives in three districts in Assam, taking the death toll to 12 in the first wave of flood this year. Over 4.48 lakh people have been affected in Hojai, Karbi Anglong West, Golaghat, Karimganj, Hailakandi and Cachar districts. Karimganj is the worst-hit with nearly 2.15 lakh people affected followed by Hailakandi where almost 2 lakh people are affected, reports Down to Earth. As of now, Brahmaputra at Nimatighat in Jorhat, while Barak at AP Ghat in Cachar and Badarpurghat in Karimganj are flowing above the danger mark, said a media report.